This section is for layout ideas in any scale and gauge. 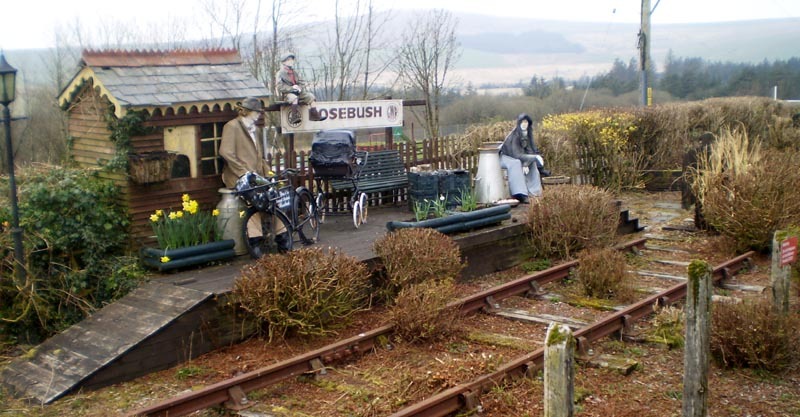 Rosebush was, at one time, the 'terminus' of the 8.5-mile-long (13.7 km) line from Clynderwen through Maenclochog to Rosebush and on to the slate quaries in the Preseli mountains. The owner of Tafarn Sinc has built this 'replica' of the station, complete with train noises! Most of the trackbed can be followed and would make an interesting GWR period (or earlier - it started as the Narberth Road and Maenclochog Railway in January 1876, taken over North Pembrokeshire and Fishguard Railway in May 1894) standard gauge slate (and other goods/passengers) railway... It kept closing and opening and the line was finally closed to passengers in 21st October 1937 and closed completely in 16th May 1949. There was a plan to develop Rosebush as a spa for tourists with a hotel with ornimental lake and gardens, but visitors failed to appear, so you could always build it as a 'might have been'? Come and visit Rosebush Spa, a rival to Cheltenham! Or perhaps the go ahead owner of Tafarn Sinc, might have considered building a narrow gauge railway, either to the quaries or on the later standard gauge trackbed that curved away after passing Rosebush, heading towards Nantyffynon and on toward Letterston or easier still, back towards Maenclochog... Shades of Teifi Valley Railway... A baby Hunslet with a couple of coaches or perhaps a diesel with bogie coach or two. There's a small amount of reference on the net... so have a look! 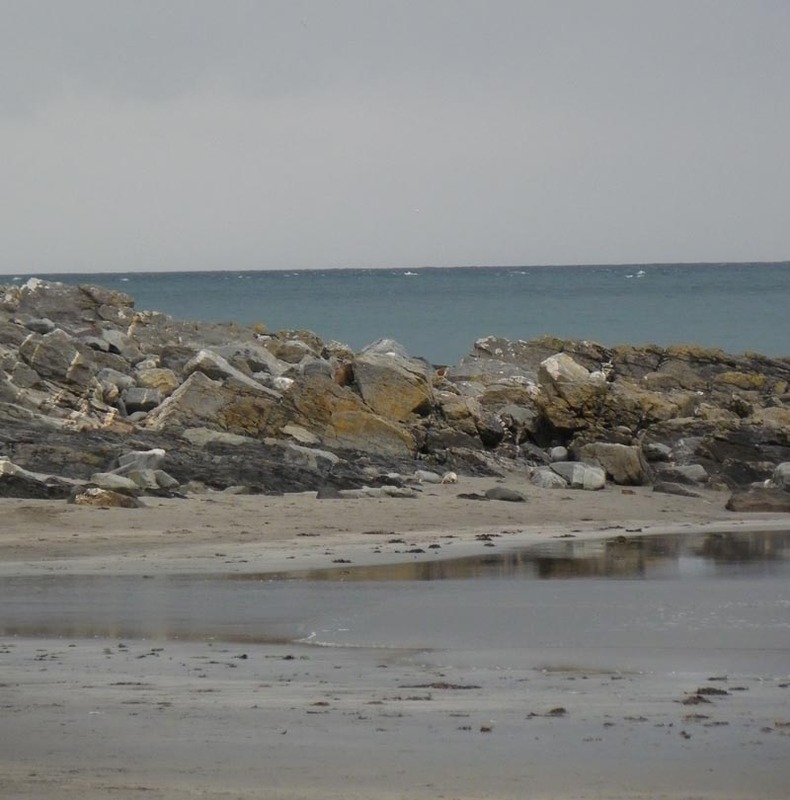 What if the proposed line from Cardigan was built through St.Dogmaels and on to Poppit Sands was built as a standard gauge line built by the Whitland and Cardigan Railway, which was taken over by the GWR on 1st September 1886 was actually carried through? 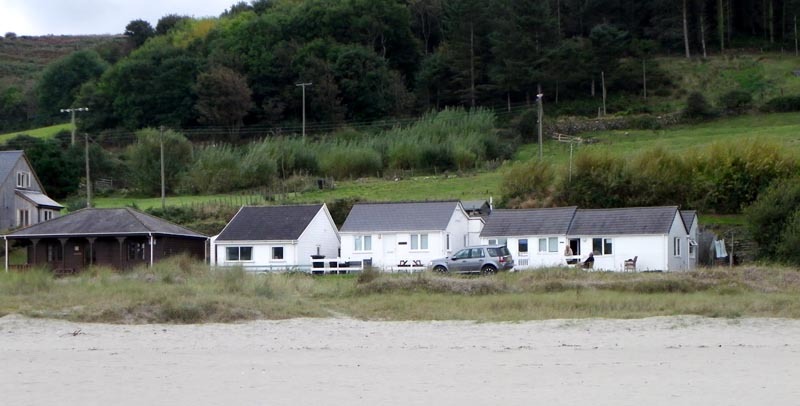 The proposal was to build a dock at Poppit Sands and, no doubt, there would have been a Great Western Hotel in their plans, along with the usual goods and passenger facilities and again their would be at least a stationmaster's house, worker's cottages and a chapel or church, along with fishermen's cottages, pubs (which were often the front rooms of cottages), stables, fish sellers (on the quay), boatbuilders, forge, sand extraction, lime kilns (they are in the area, as are other type of stone for quarrying), there are a few farms in the locality, so those type of buildings and equipment would be required - it's starting to sound like Pendon! 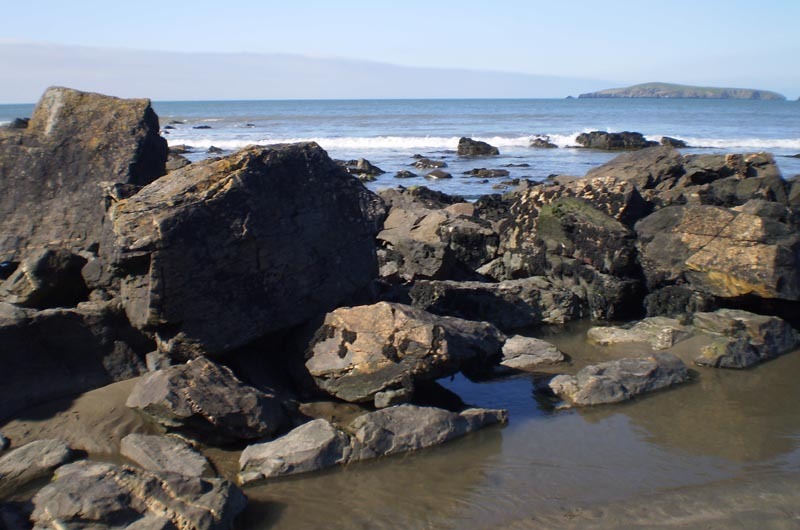 As the railway to Cardigan closed before the "Beeching Axe" on 8th September 1962, it would have to be assumed that the line to Poppit Sands would close at the same time, assuming it survived the First World War, the Depression and the Second World War! 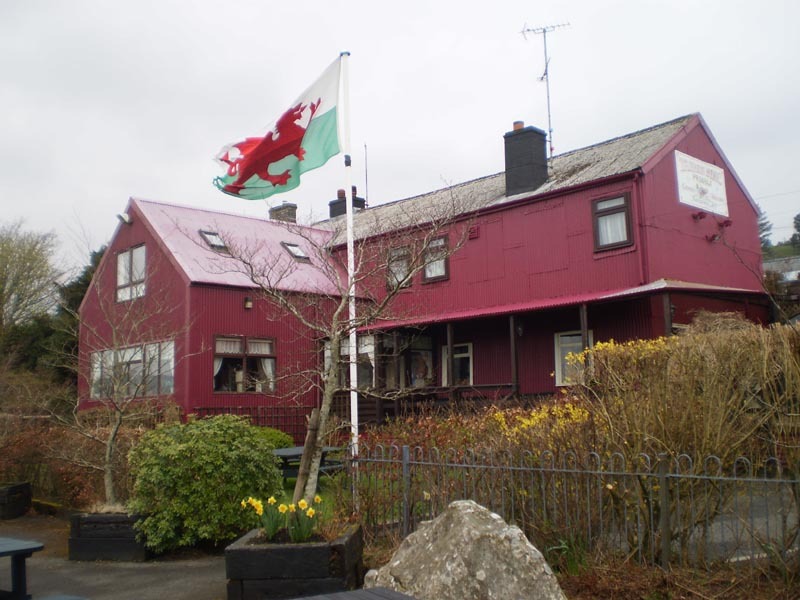 Possibly, it may have been taken over by a preservation group, just running from Cardigan to Poppit Sands and been used as a standard gauge line running ex-GWR and BR Stock, as the Llangollen Railway or a narrow gauge society, like the Bala Lake Railway. As it was never built you can do what you want!!! Winifred on the Bala Lake Railway - with Poppit Sands Quay on the right? 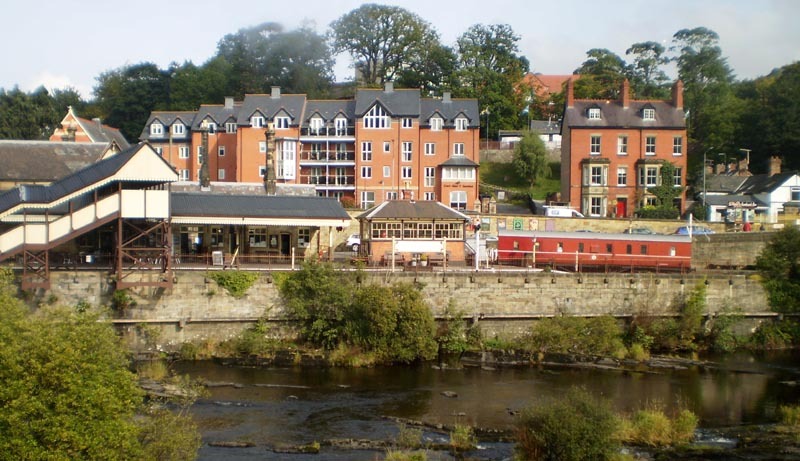 An ideal riverside setting, with a mountain in the background, for a GWR/BR through station or a preservation railway as it is now. My idea was to build a lyout layout as the above with the footbridge acting as a scenic break to a fiddle yard and the road bridge to the right (off photograph) as part of the run round. You don't need full length trains, as only the first coach can be seen, behing the engine as it enters the station. The engine is uncoupled and runs across the points, then back up the 'down' track where it takes on water, before heading up the line to cross over and head back down to collect the train - which you could do by just leaving the loco in the fiddle ayard and pulling the coach slowly back? DMUs have a much easier time, as they just run in, wait then leave!!! You can also run demonstration freights and Thomas days! - along with visiting engines (they've even had "Ivor" there!). 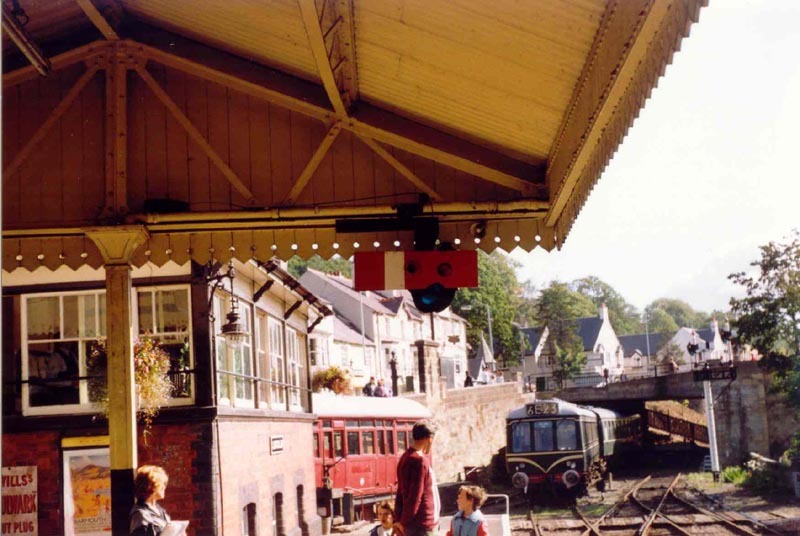 Just look up Llangollen Railway website and facebook page for ideas. 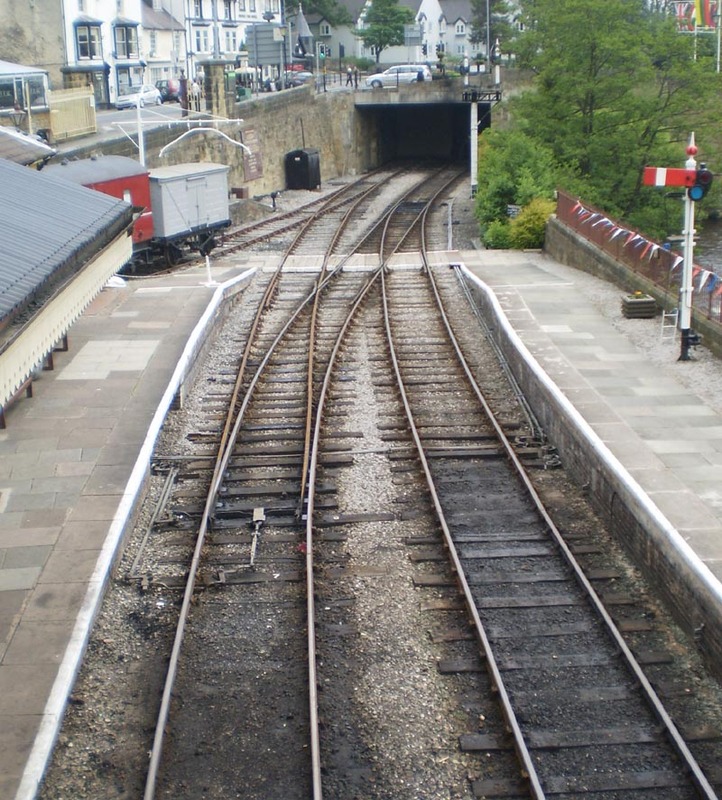 This is the view from the road bridge, so you only need three points and two signals (there is one under the station canopy) and you can probably get away with building it 'straight' - without using the curve that the real sation is built on! 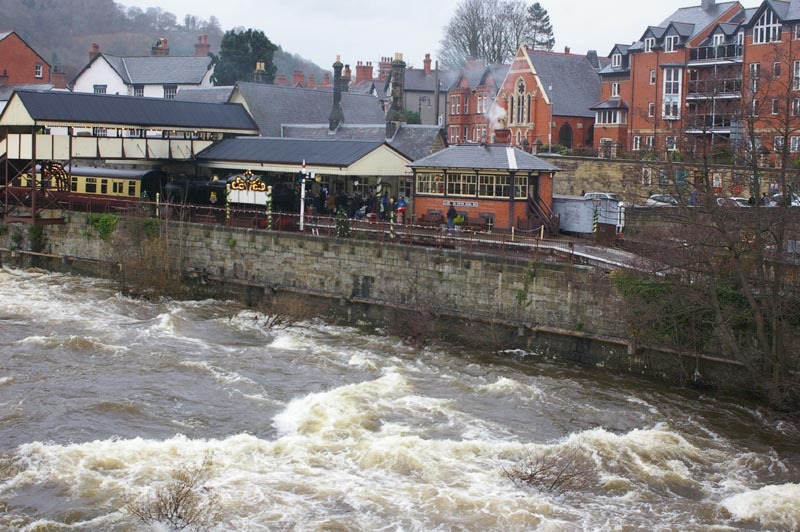 I'll add more pictuers when it locate them or I'll take some more next time I'm in Llangollen. Around about 1974, I was Publicity Officer for the WHR(1964)Ltd and some of the WHR & FR members and other railway enthusiasts (who lived in the Wrexham area) had discussed the idea of a narrow gauge railway running from Llangollen to Ruabon (where there would be parking and a main line train station) and possibly on to Bala (long before Bala Lake came along) and/or Dolgellau or Dovey Junction railway station an idea, as PO of WHR, I did not want to promote as it would detract from what the WHR was trying to achieve. But the thoughts of a 56 mile narrow gauge raillway quickly came to nothing. Seeing what the FR have done with the WHR (I'm not getting into THAT discussion! 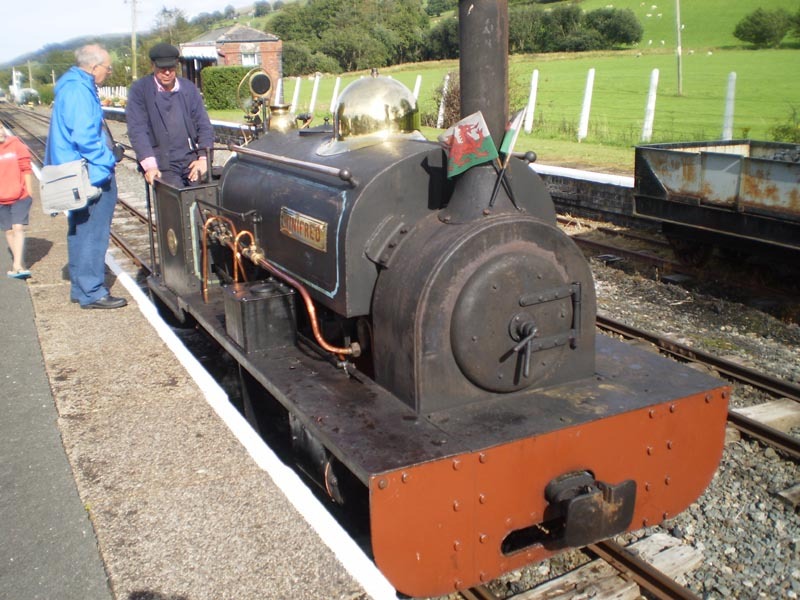 ), perhaps if the Llangollen Railway group had decided on another location and the WHR(1964)Ltd had built the line to Dinas, perhaps we might now have a new 56 mile narrow gauge line in North Wales. Who knows? One for the "might have been" group! So Llangollen station with a couple of Garratts running through might be a very interesting layout!!! There's no sound, as the camera's next to a holiday cottage's bedroom. The railcam website is free to login (you just need to register free) and it's only 10 GBP to see all the other supporter cameras. 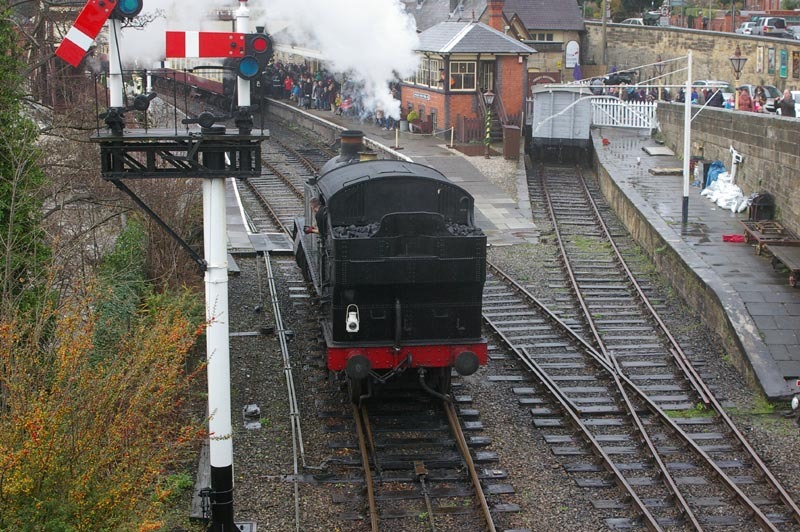 Usually, the train arrives at platform 1 and the locomotive runs forward to the bridge and then runs around the coaches, stopping for water on its way (if it's a steam locomotive, diesels usually don't stop to refill!). 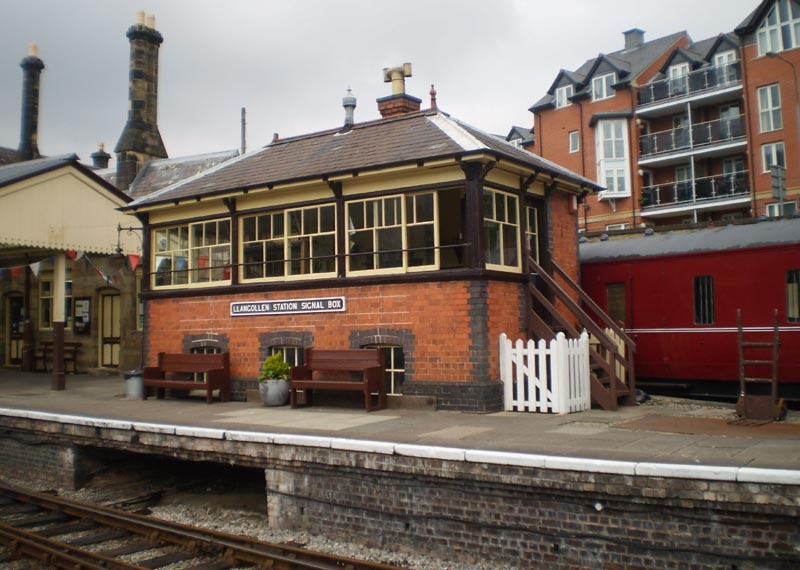 Once locomotives are unloaded from their transport, they remain in the direction placed on the track, as there aren't any turntable facilities on the Llangollen Railway, which saves turning locomotives around in the fiddle yard. This was the first day of Santa Specials (December 5th 2015).